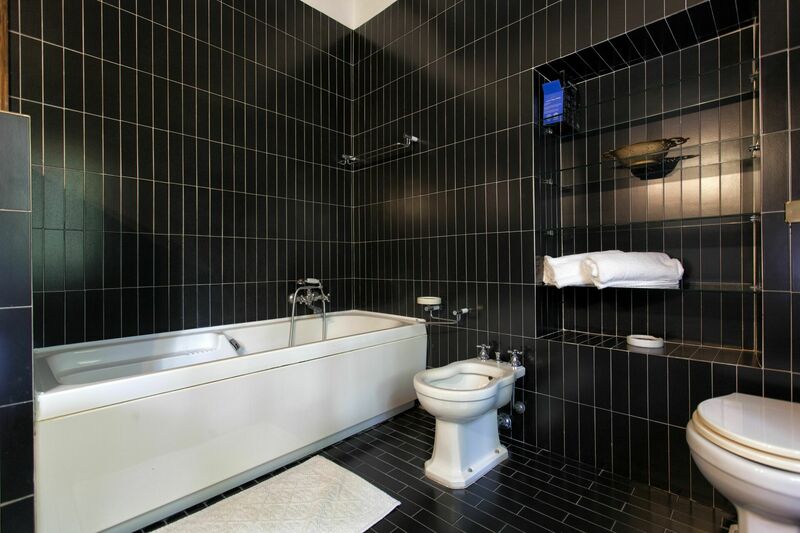 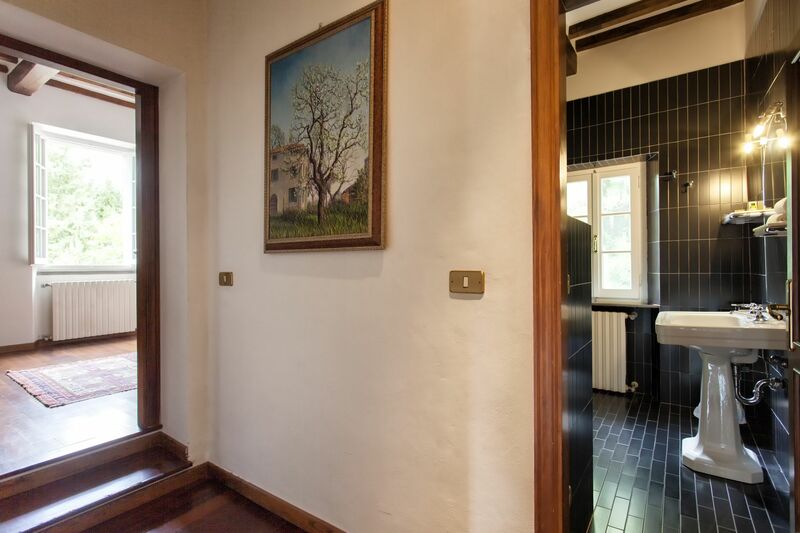 € 1392 - € 2726 /sett. 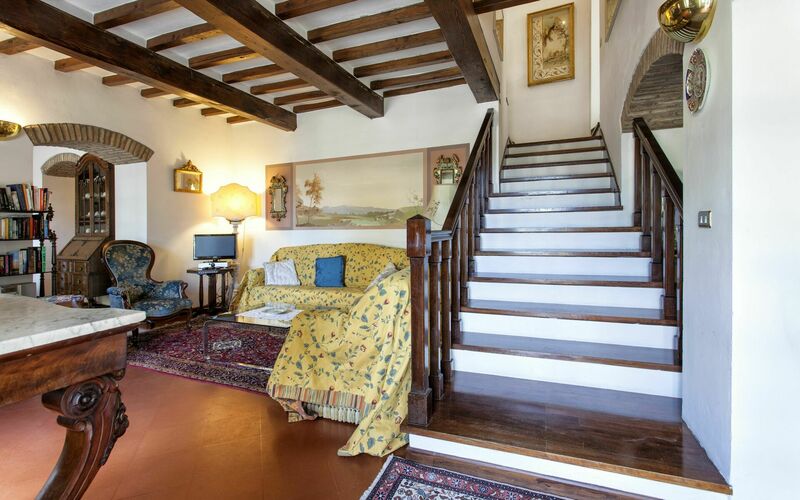 This VIlla is laid out over two floors. The first floor opens to a very large living room, with a massive fireplace, a large kitchen with supplemental addition of dish washer and freezer and a service bathroom. 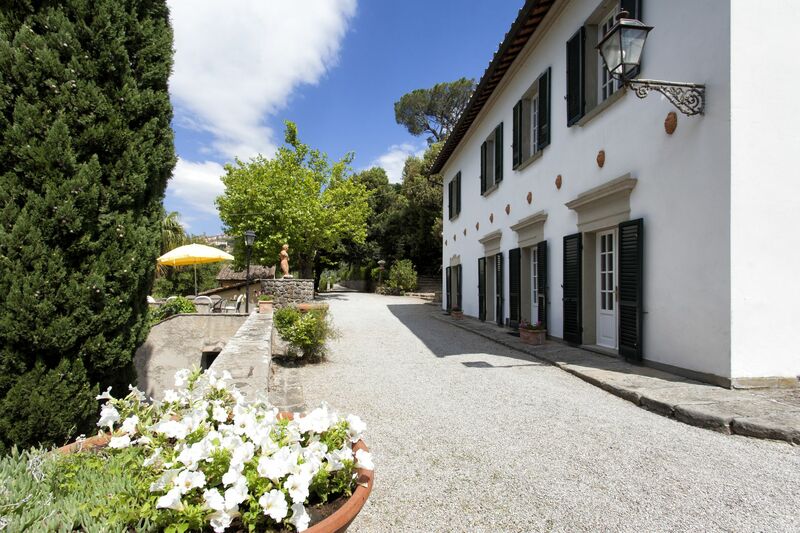 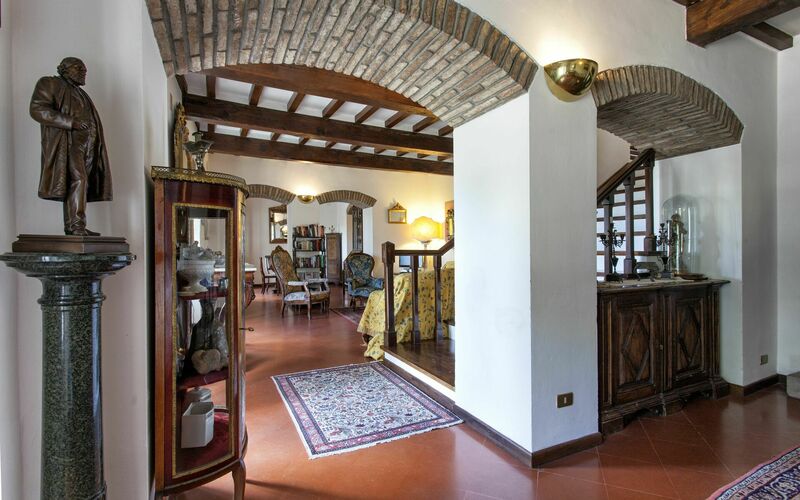 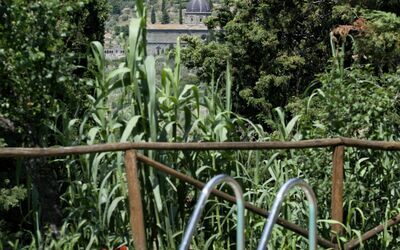 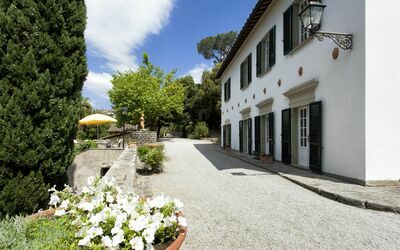 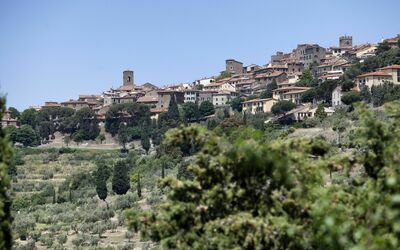 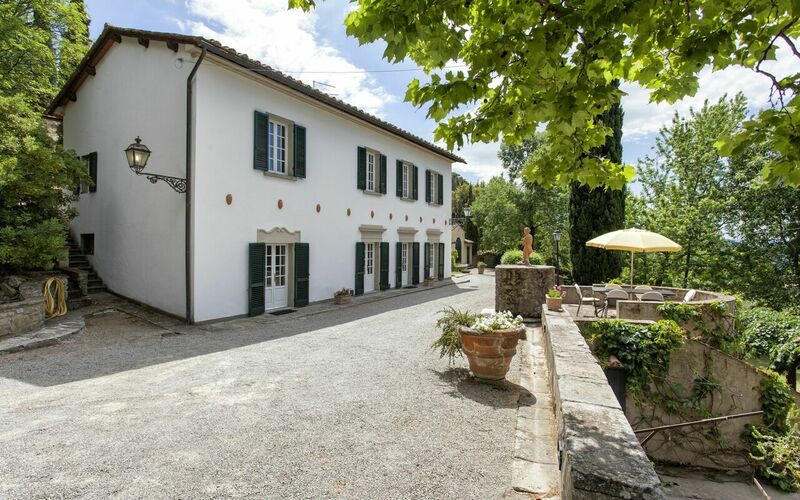 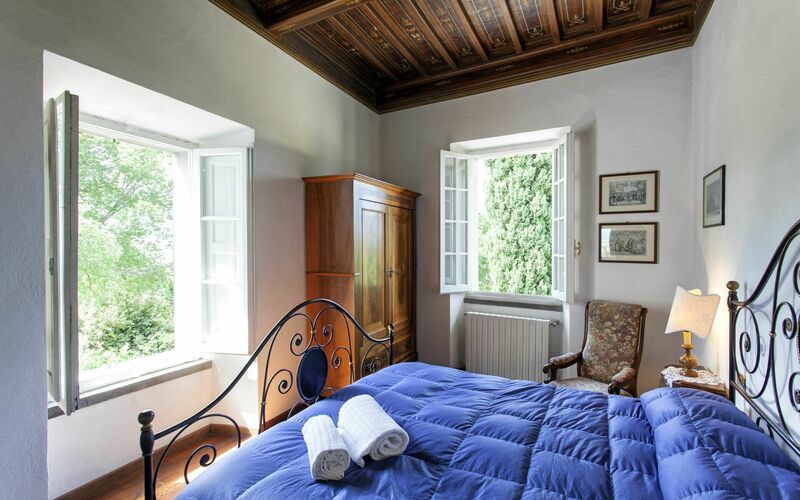 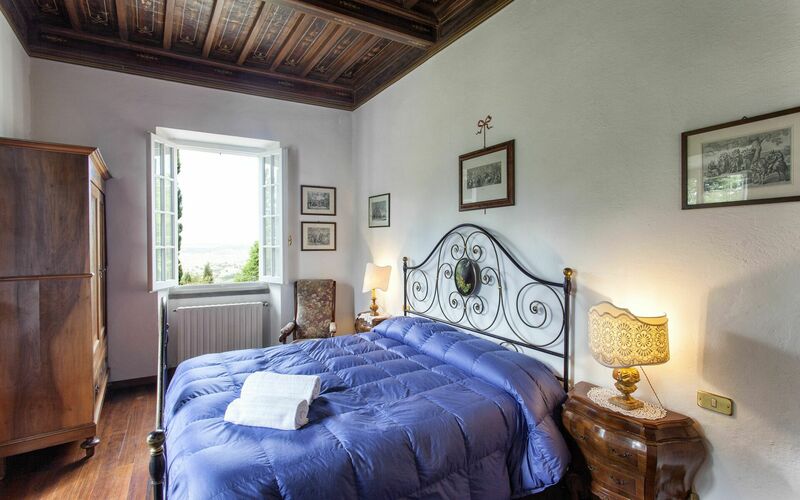 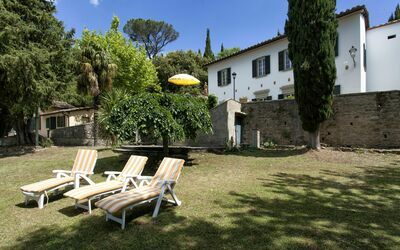 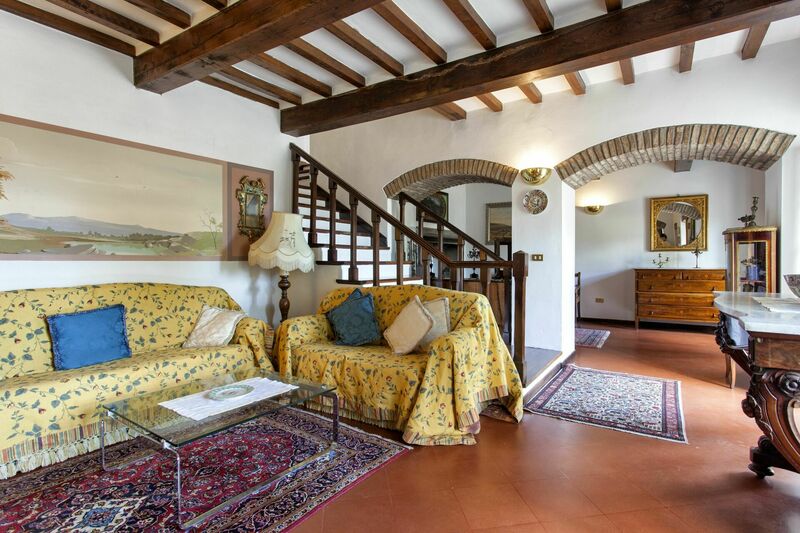 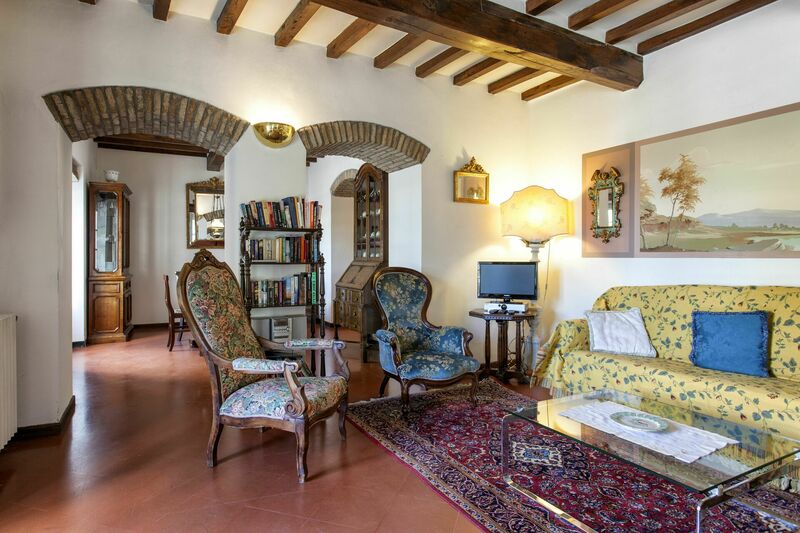 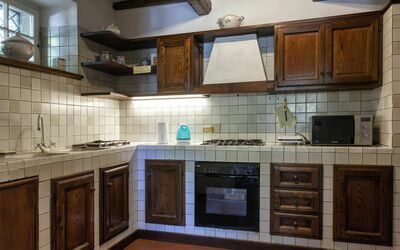 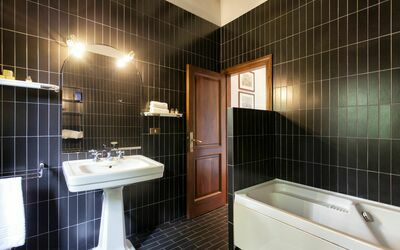 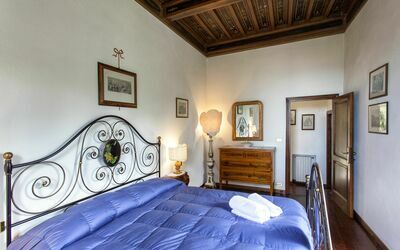 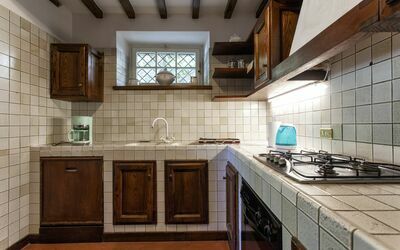 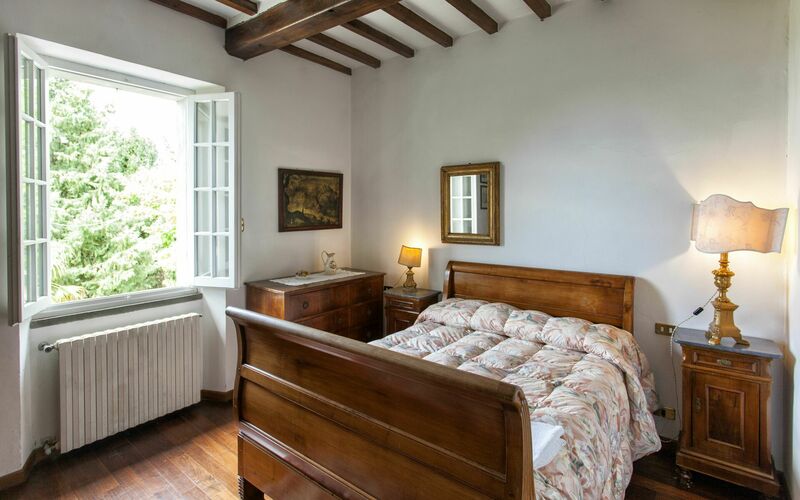 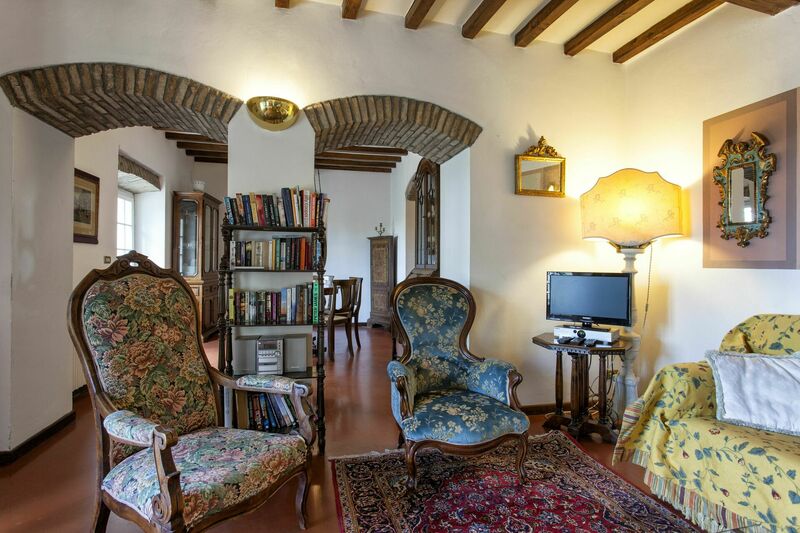 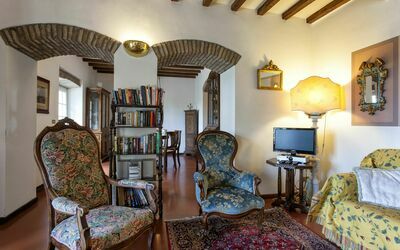 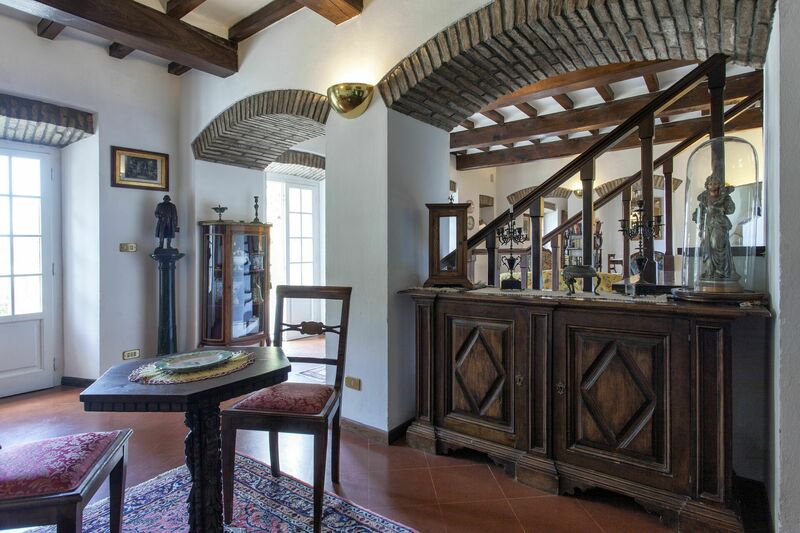 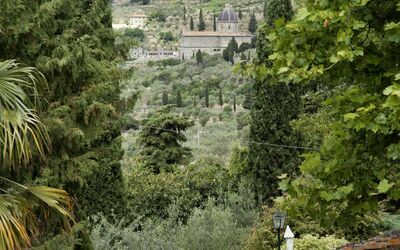 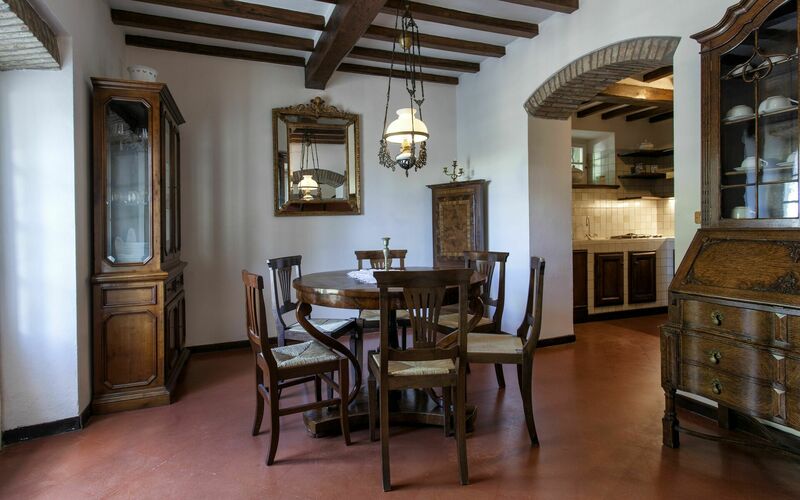 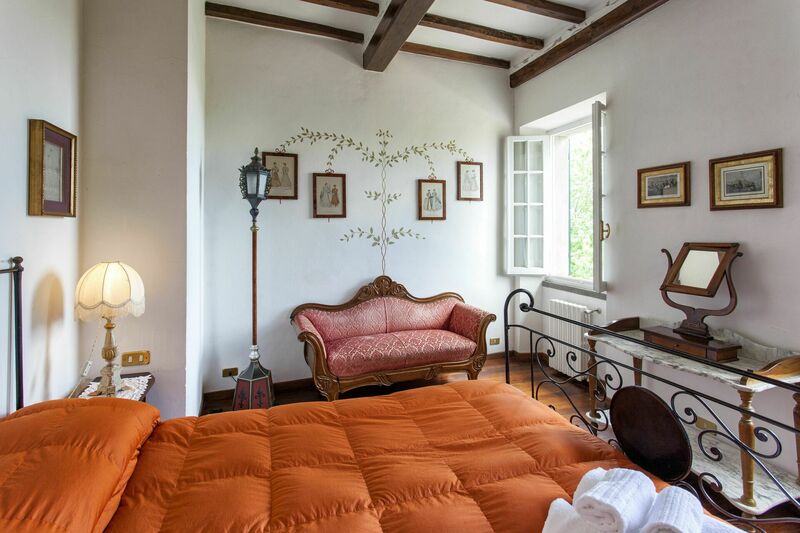 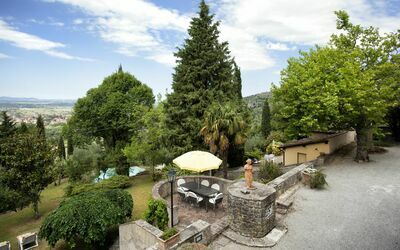 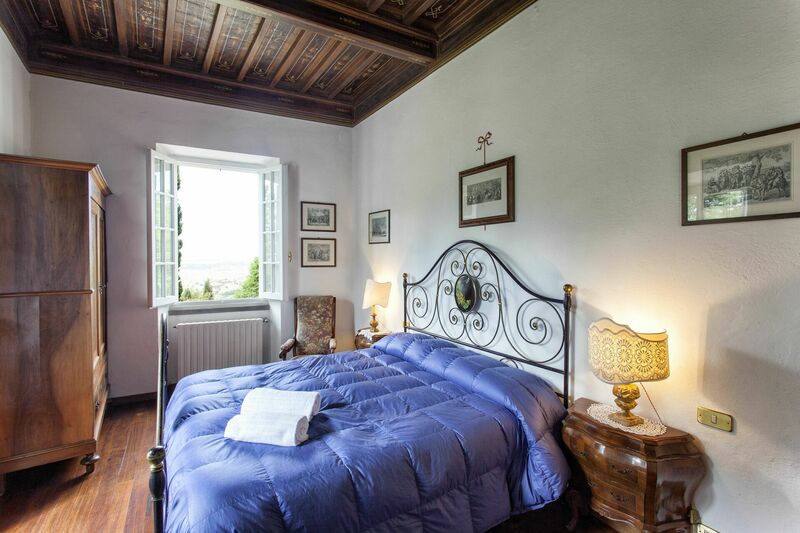 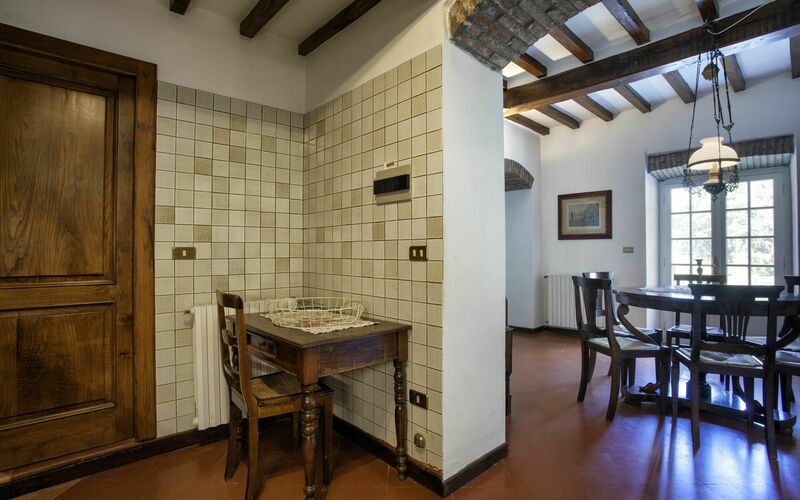 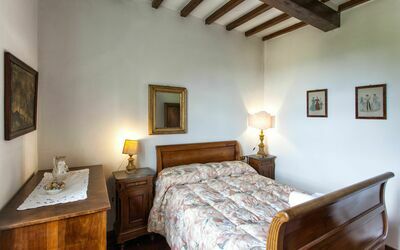 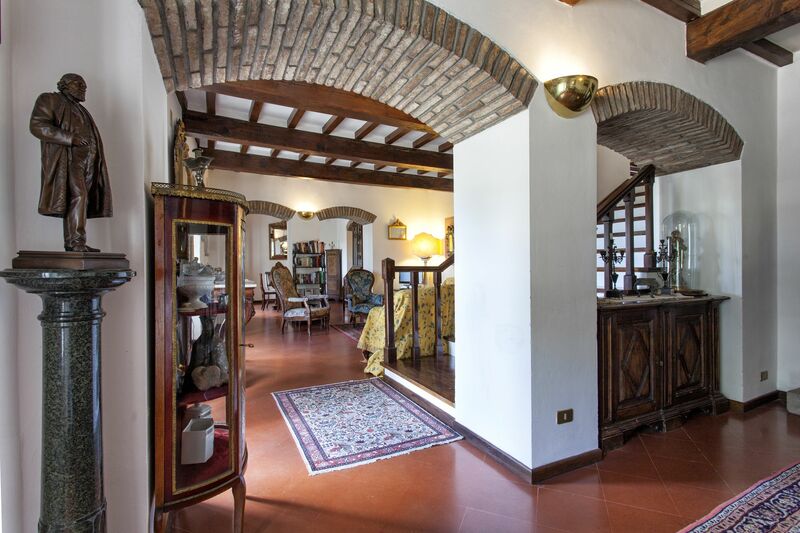 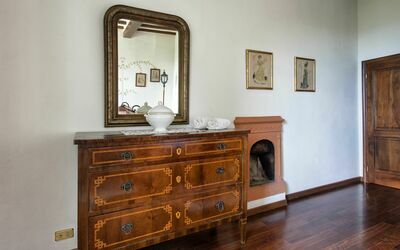 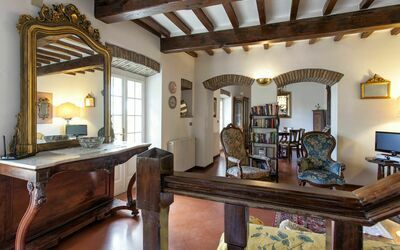 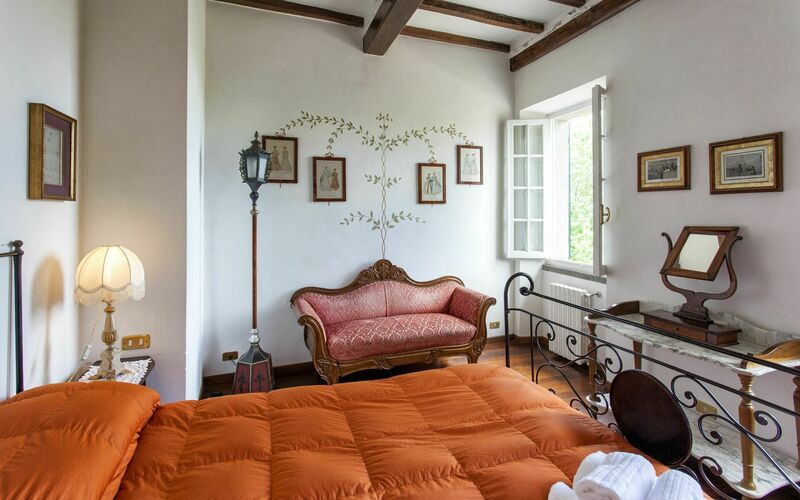 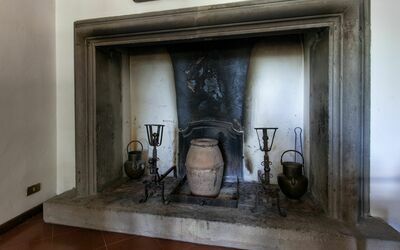 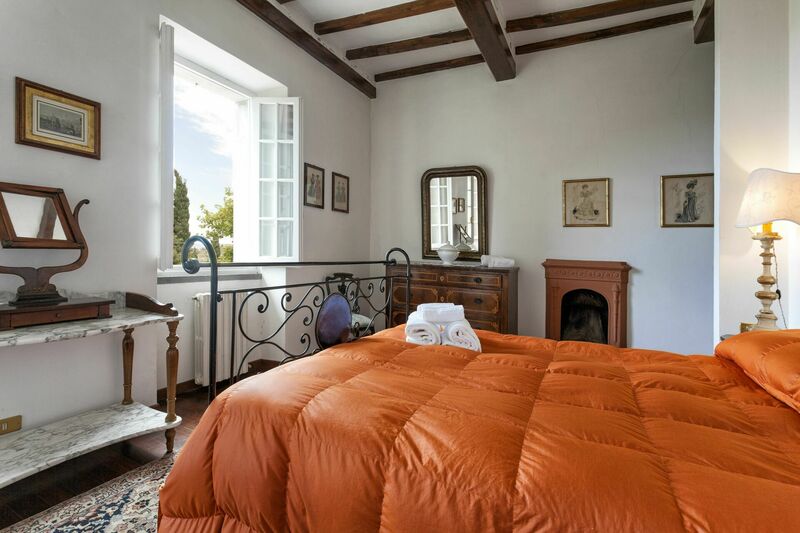 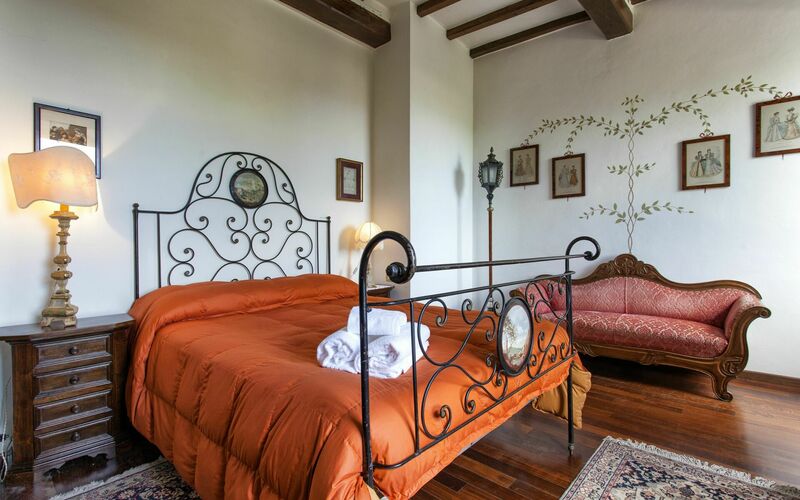 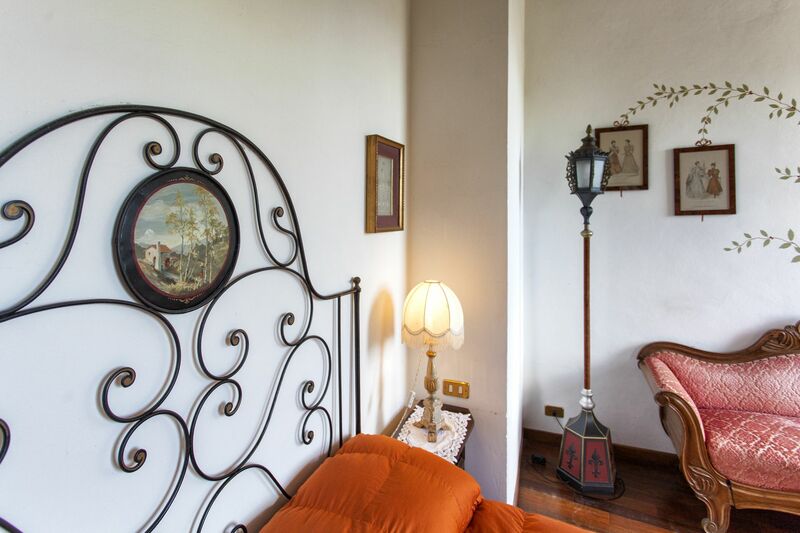 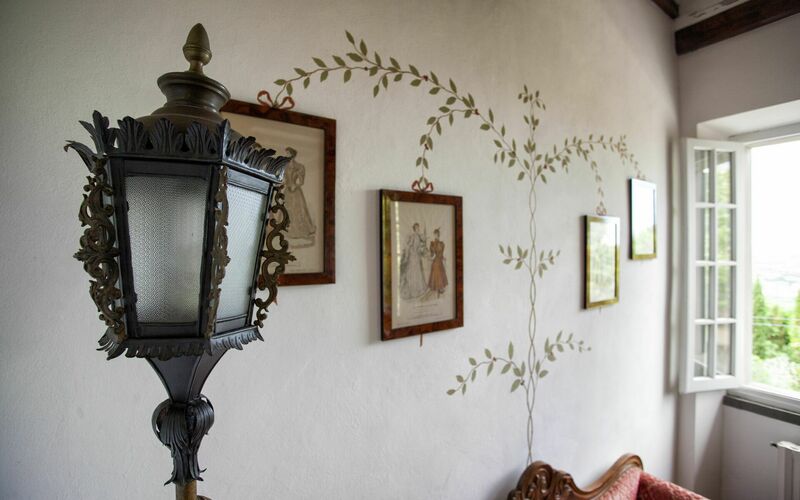 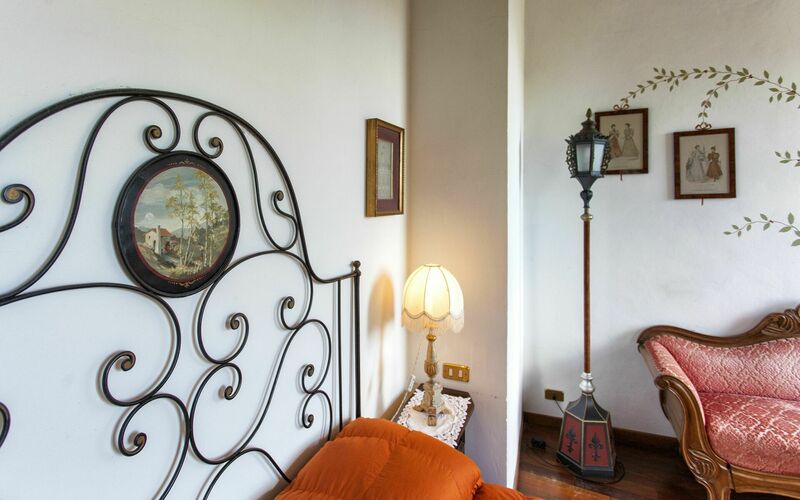 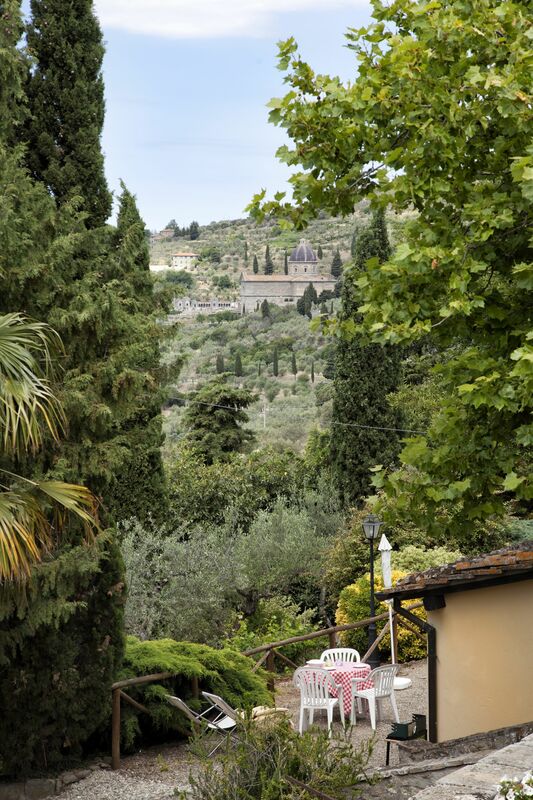 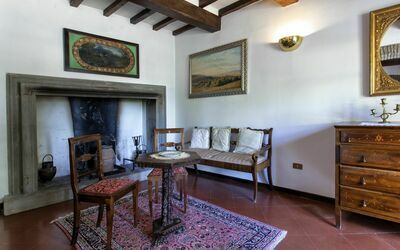 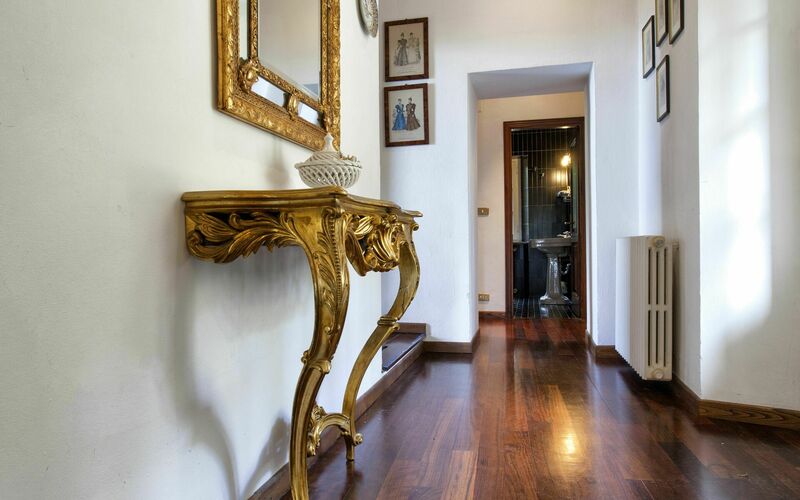 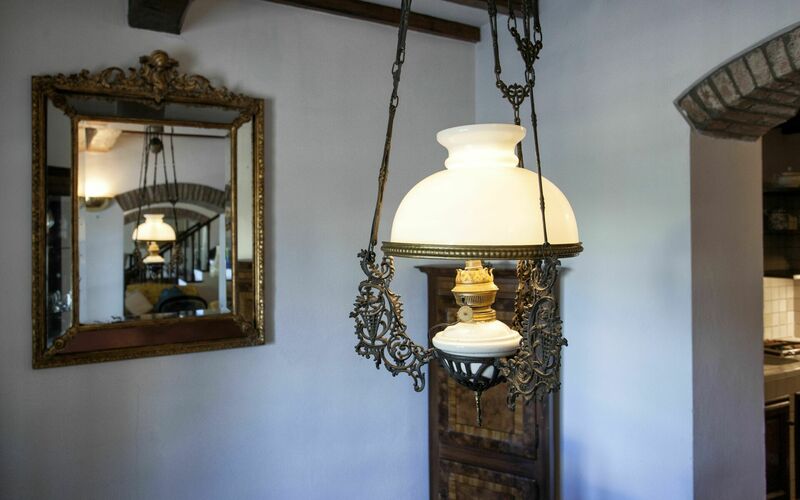 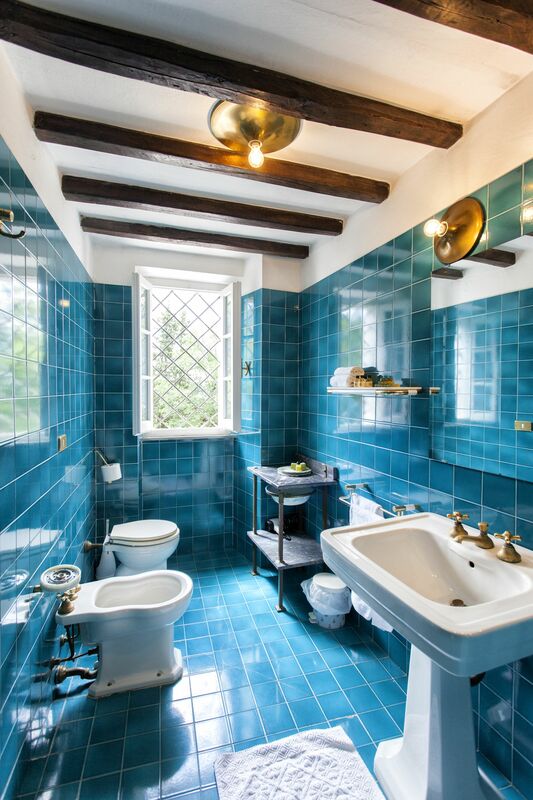 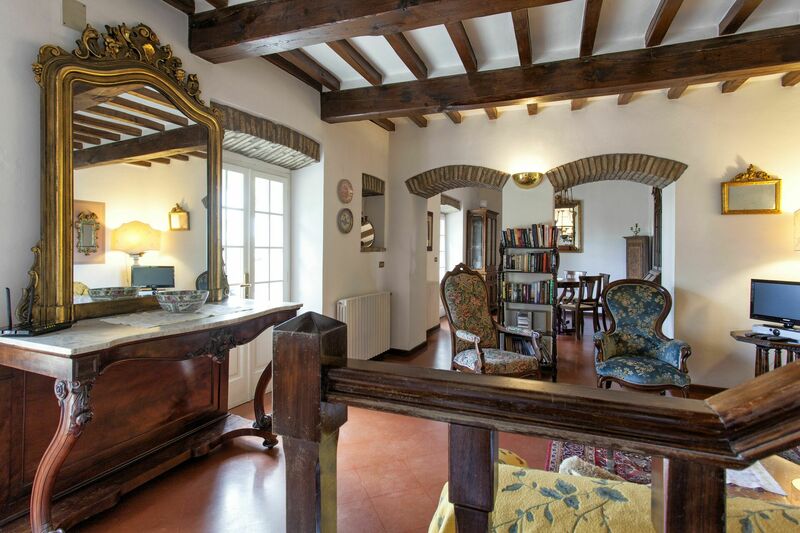 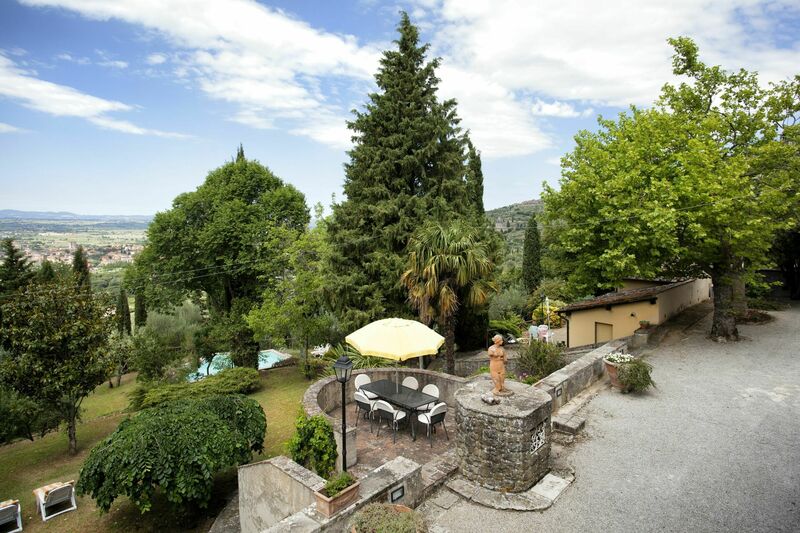 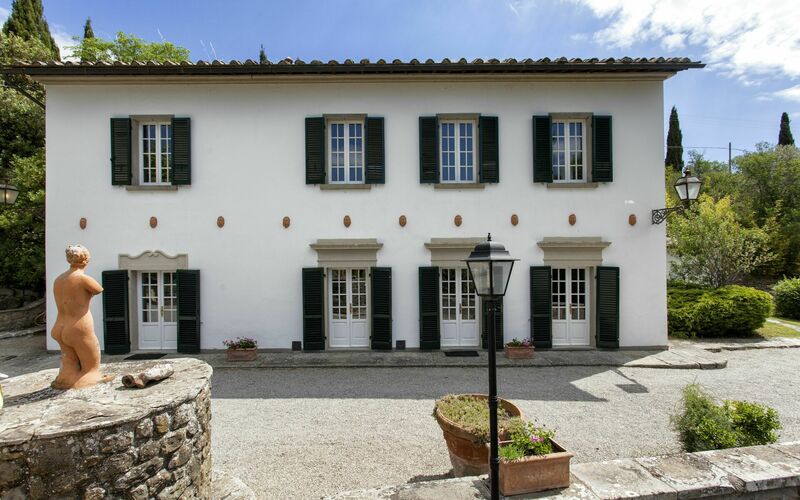 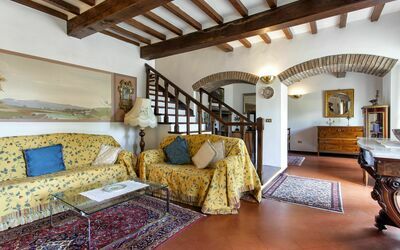 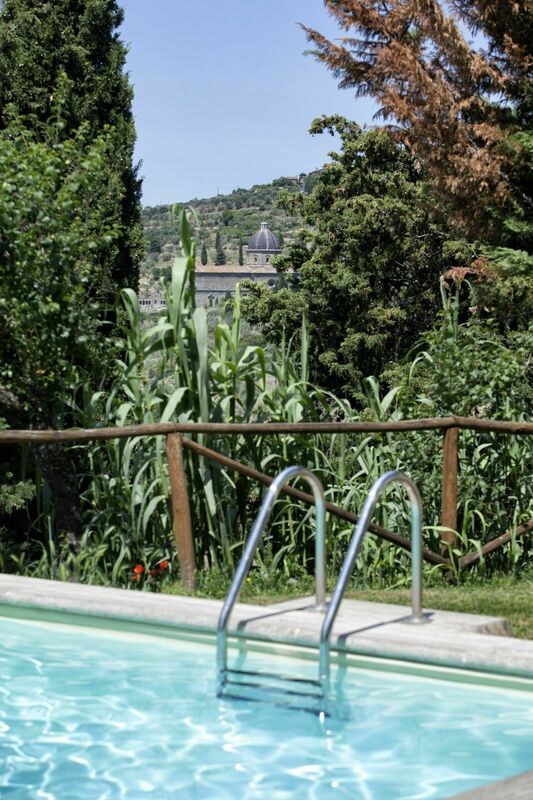 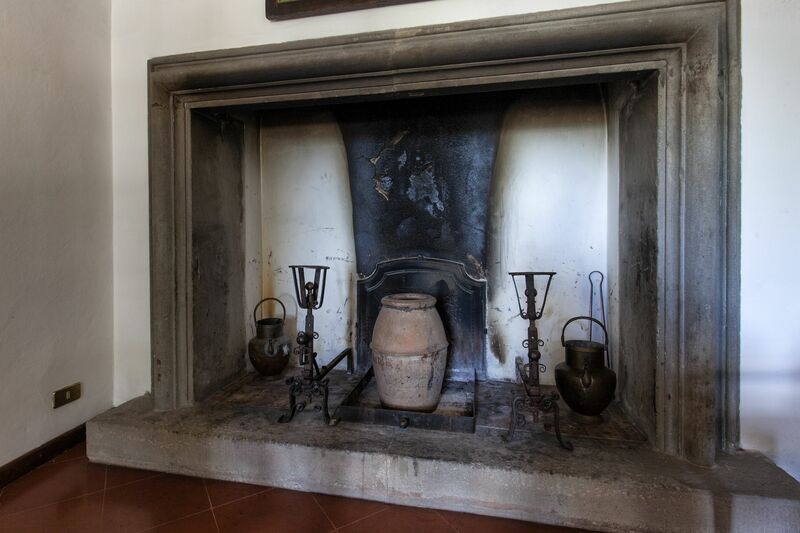 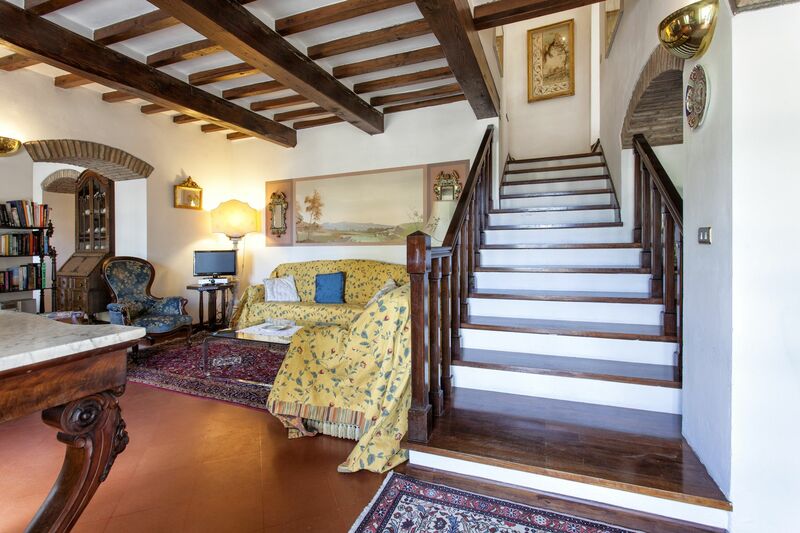 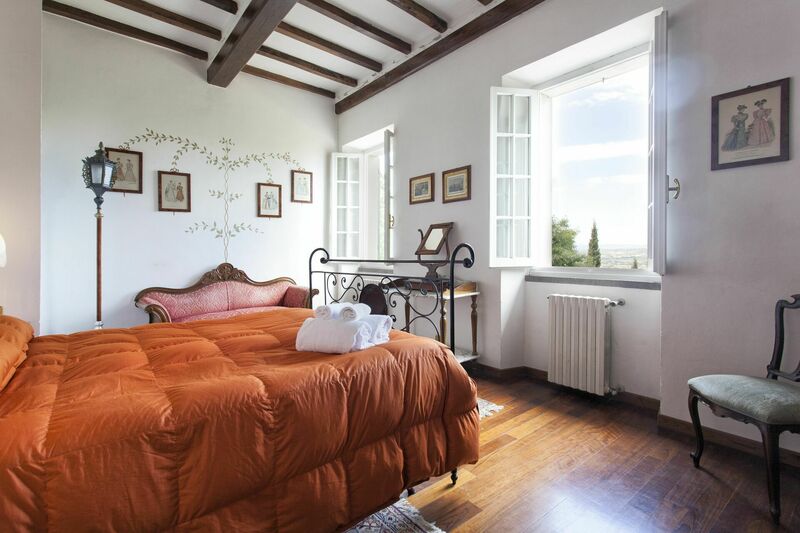 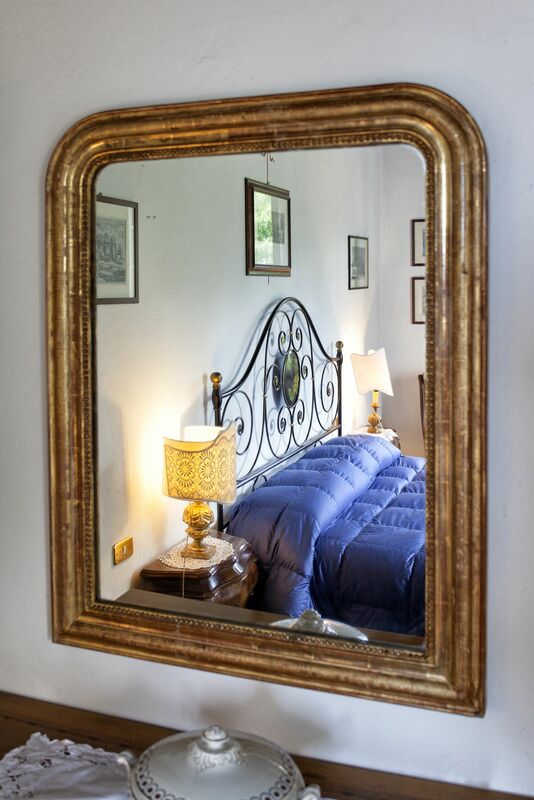 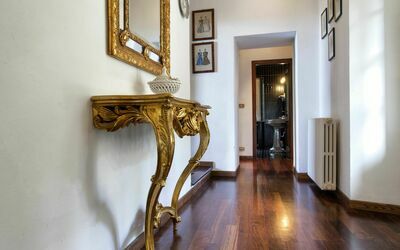 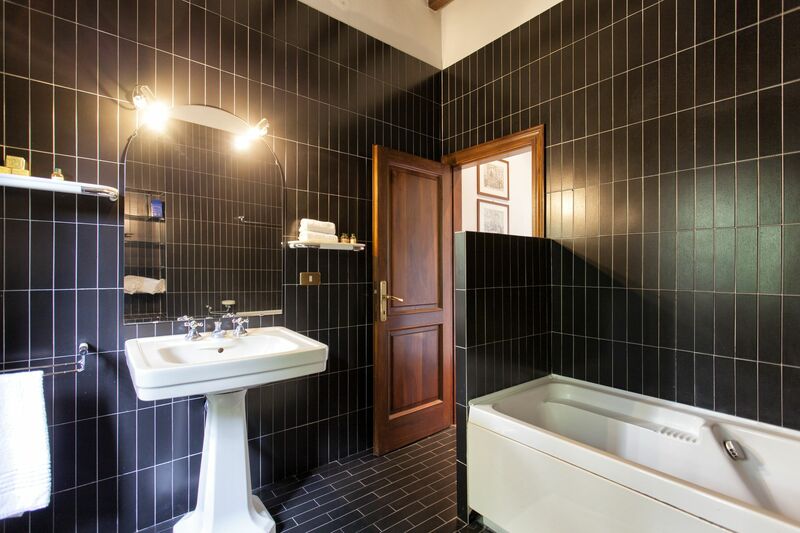 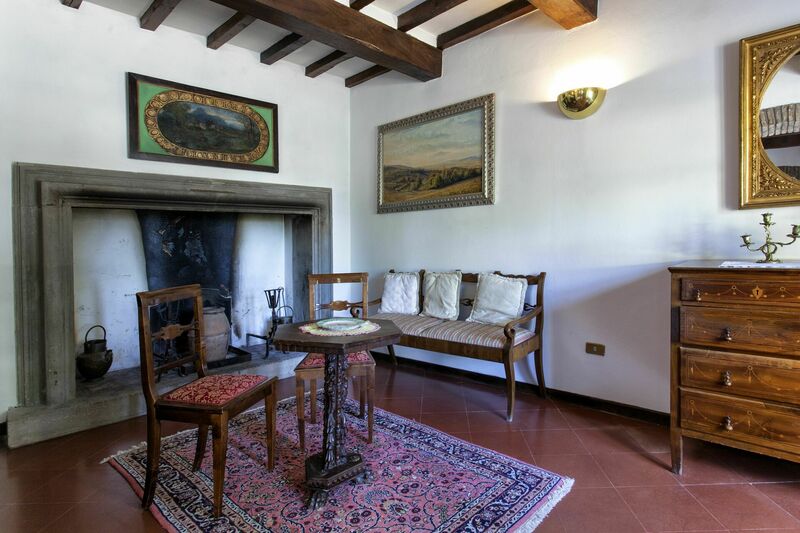 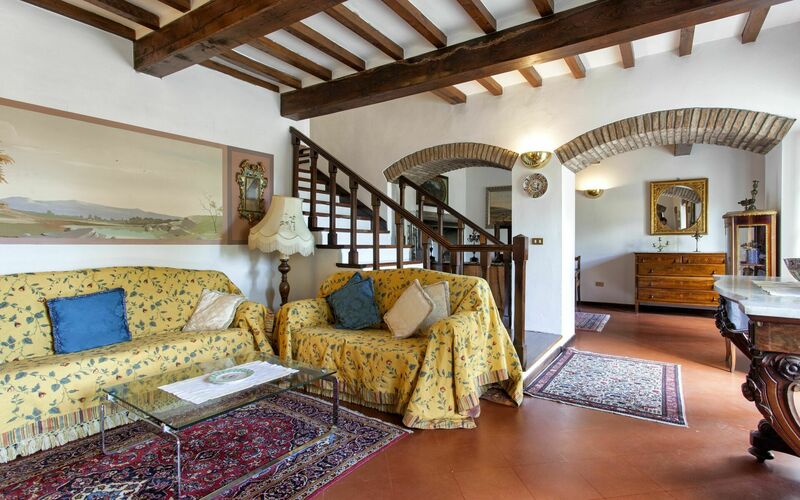 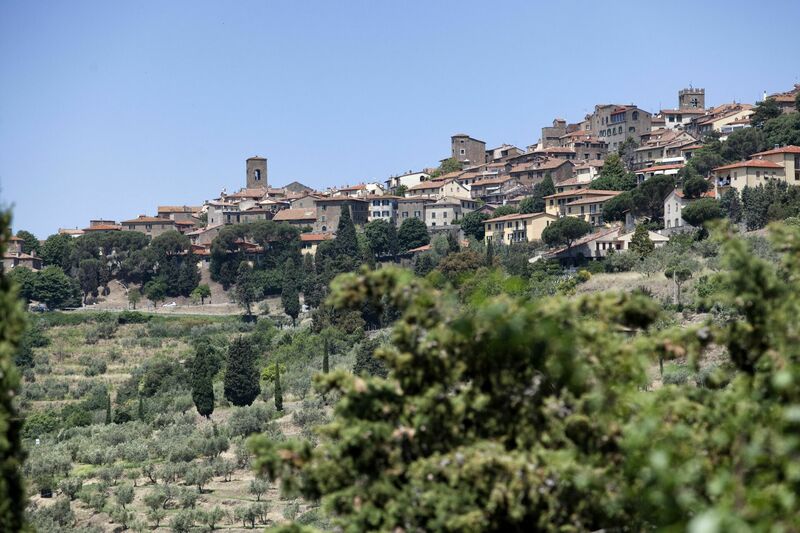 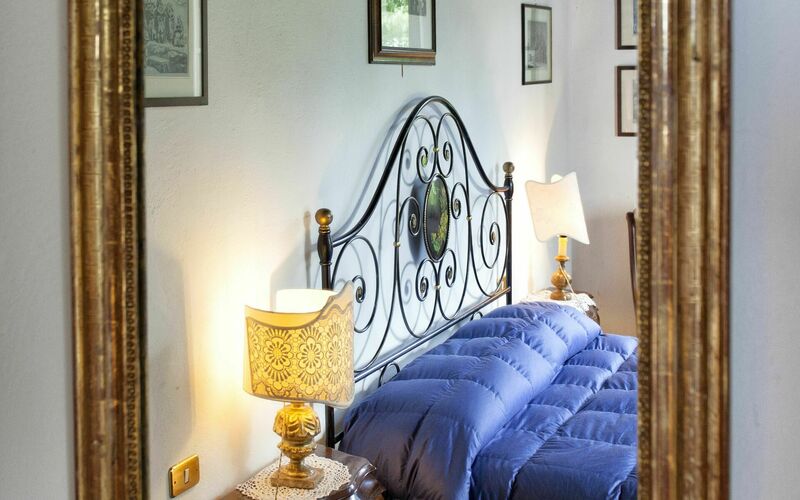 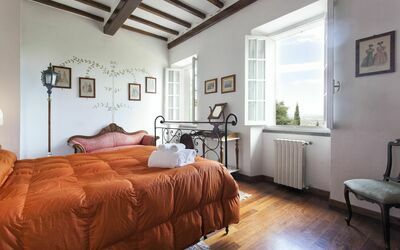 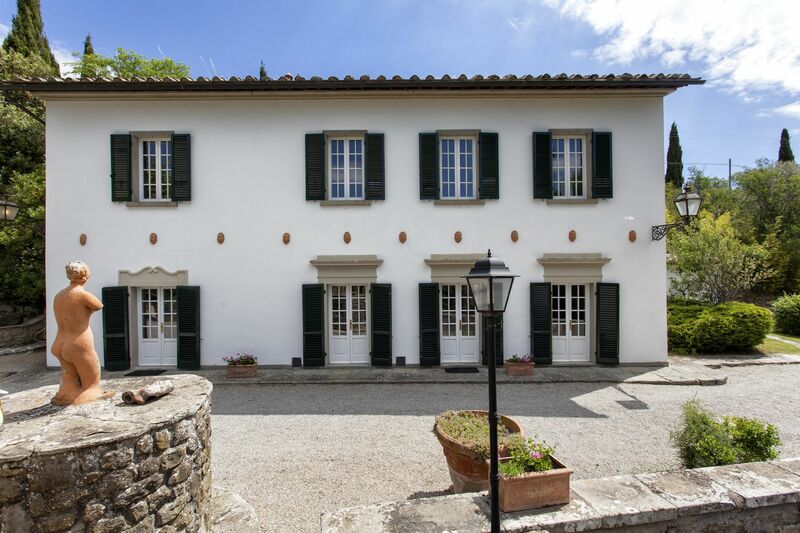 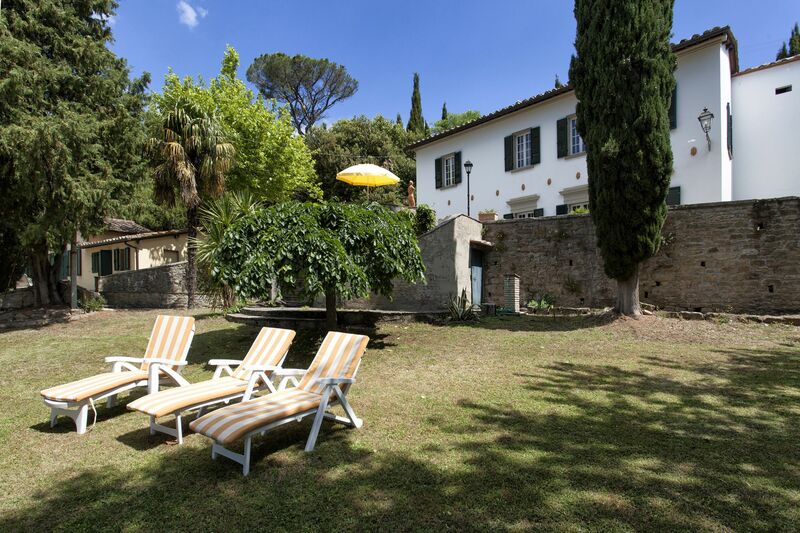 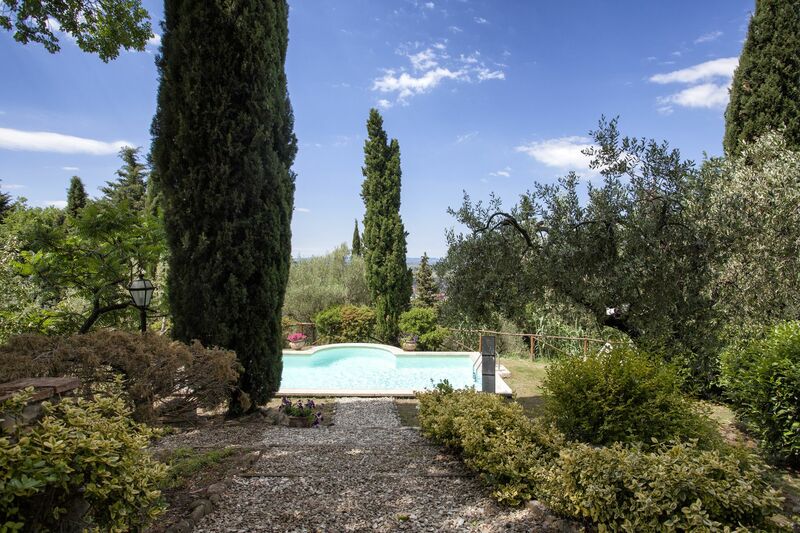 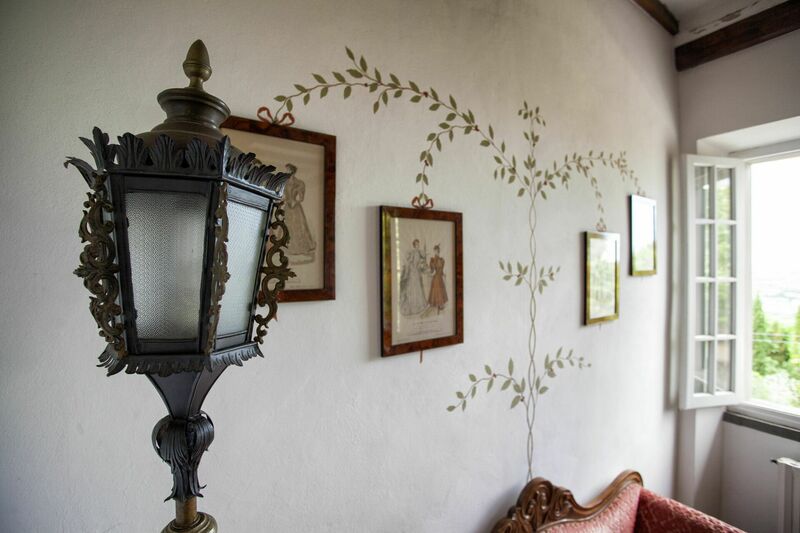 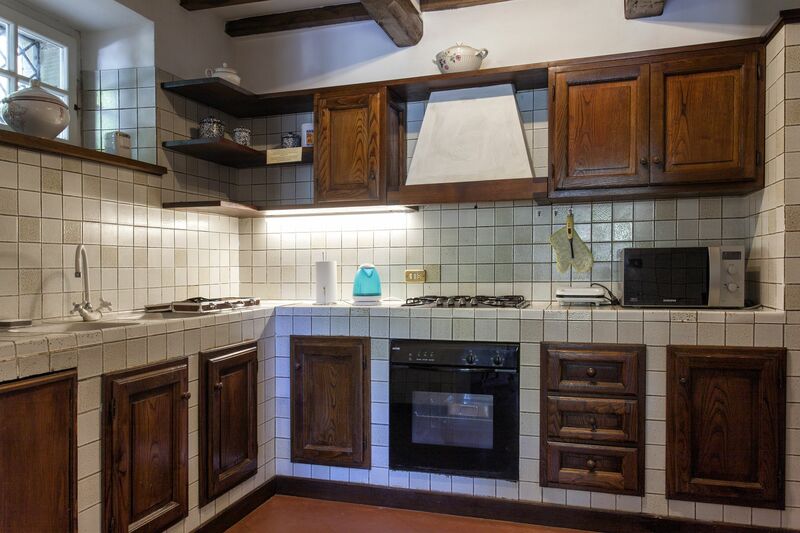 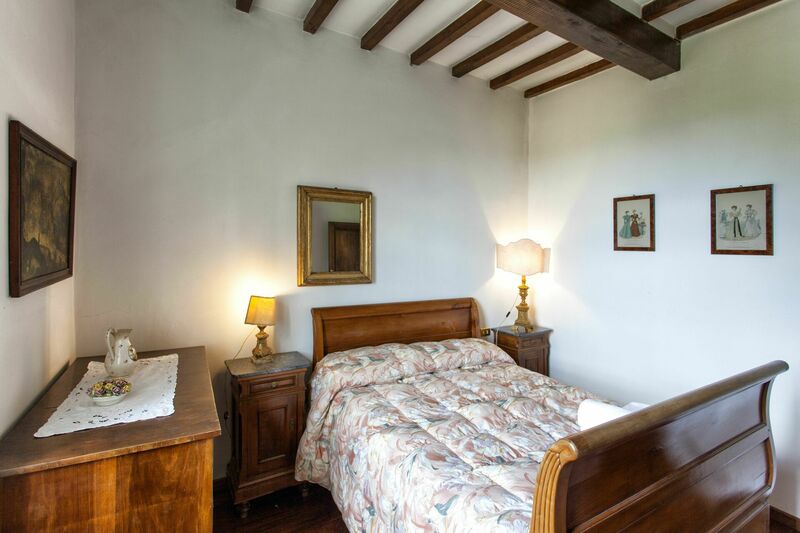 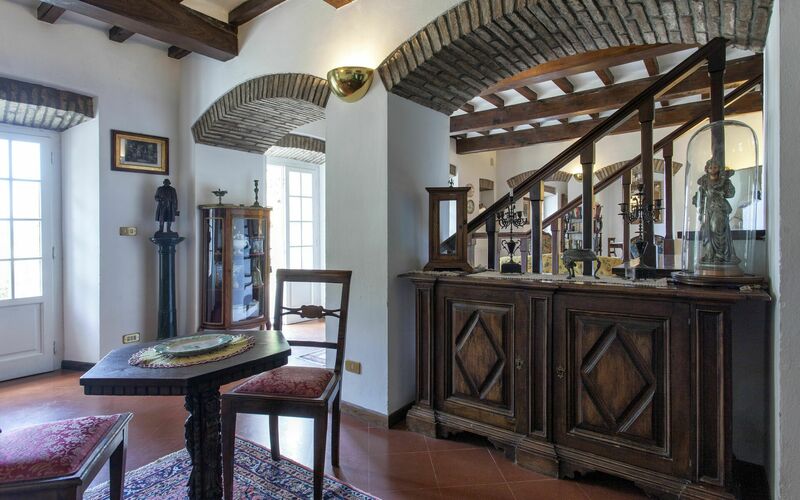 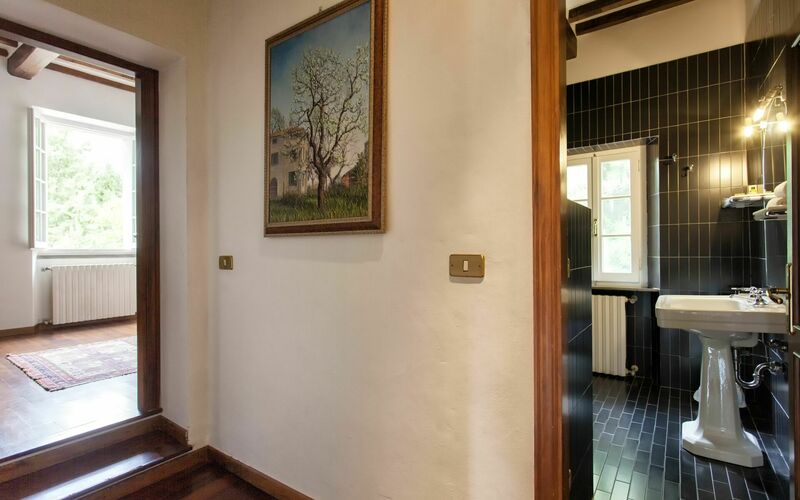 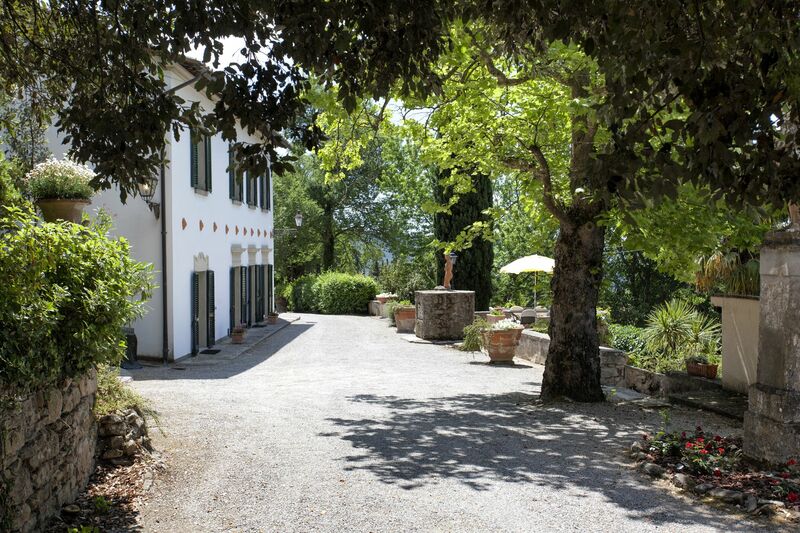 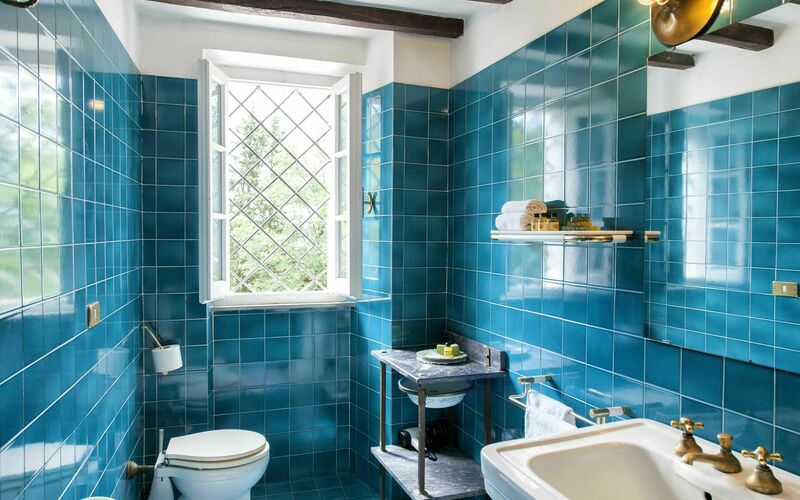 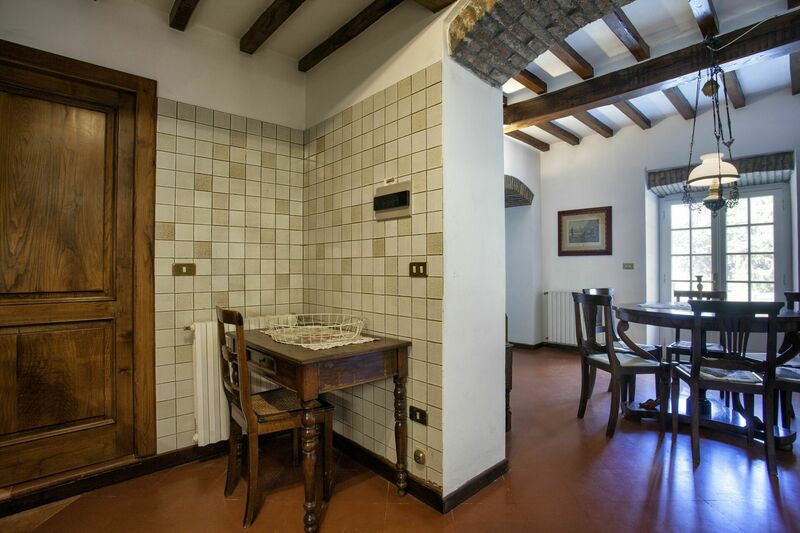 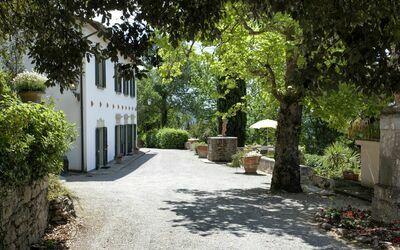 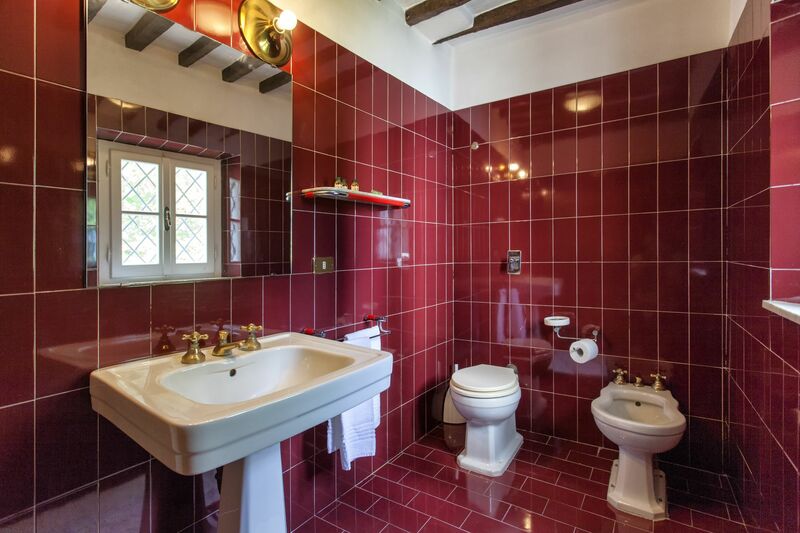 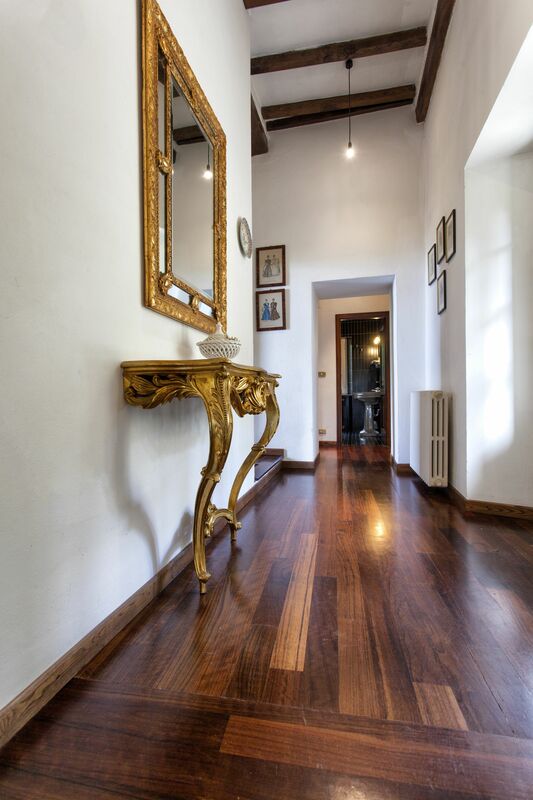 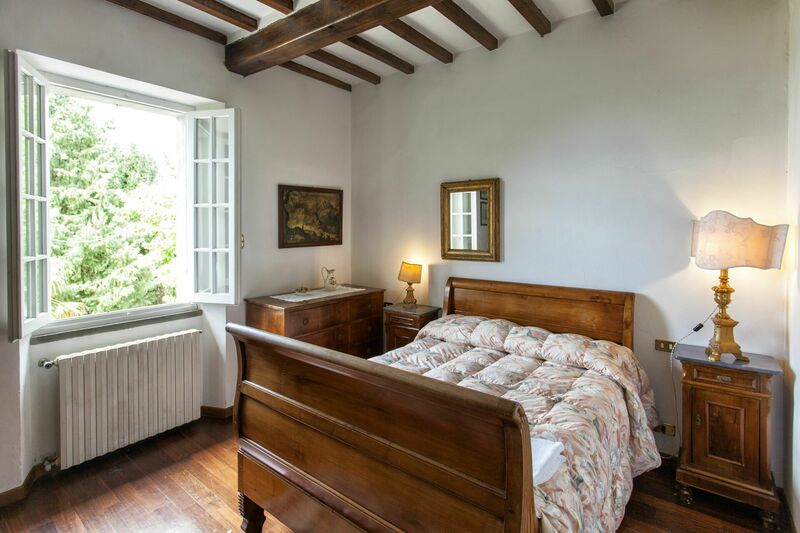 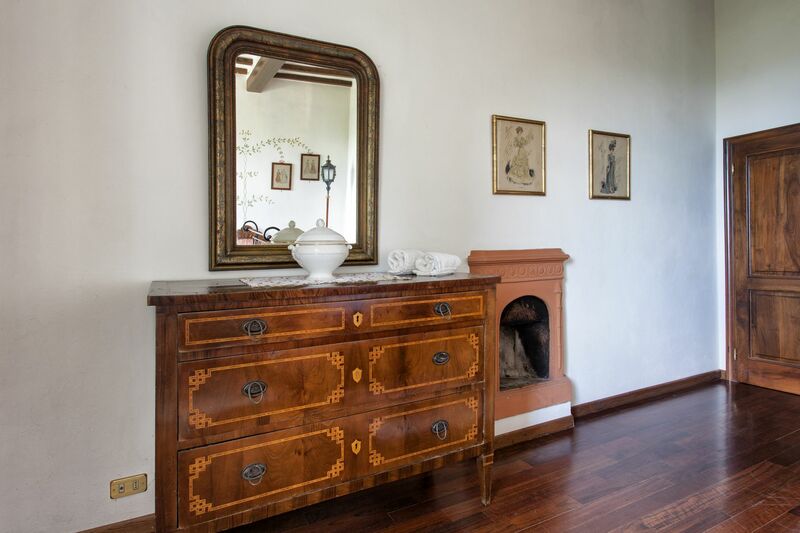 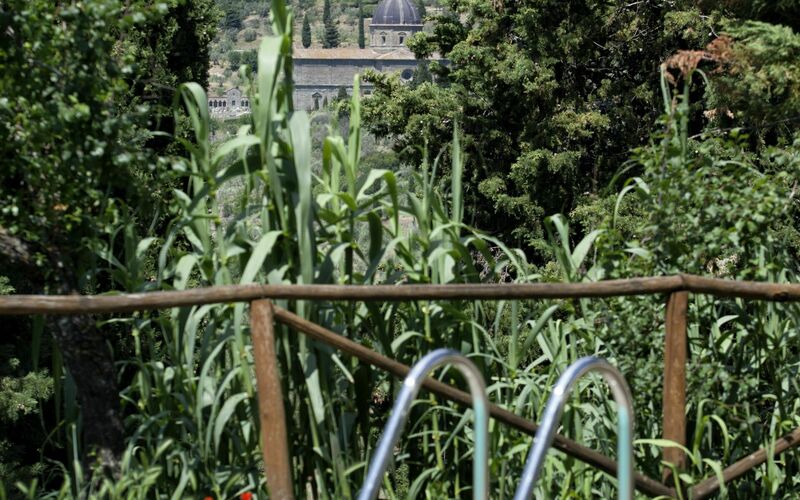 Externally you will find a big natural terrace with a spectacular view of the valley and the Lake Trasimeno. A table for breakfasts and dinners is there nearby the path which leads to the swimming pool.